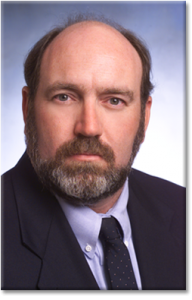 Personal Injury Attorney in Melbourne, Florida | David R. Heil P.A. Are you feeling stressed out after suffering an injury from a car accident, a dog bite, or some other negligent act? Do you feel frustrated with insurance companies that do not treat you fairly? Anyone forced to reckon with the consequences of another person’s destructive action is entitled to compensation under the law. Not only do you have a right to claim medical bills, but also missed wages, ongoing therapy, and a substantial myriad of incurred losses for your recovery. Even in regards to workers compensation, insurance companies will pursue every possible avenue to avoid paying any more than the bare minimum of medical costs. In many cases, you may be pressured to accept a drastically low settlement or quickly overwhelmed with confusing paperwork. A knowledgeable personal injury attorney in Melbourne will handle every detail of your claim with the level of skill and expertise that insurance companies and negligent parties will promptly recognize. A serious injury or the death of a loved one through an individual or business’ negligence can be a devastating experience with far-reaching impact on the overall quality of your life. Particularly injuries that involve spinal damage or concussion can lead to devastating symptoms that are difficult to diagnose in the early stages. The most successful cases are won with a thorough collection of evidence and reliable witnesses to build value and merit to your claim. Many individuals fail to realize the true breadth of their injury, including pain and suffering or property damages. At times, a comprehensive exam from a medical professional will help to more clearly document the full scope of your injuries before you settle for less than what you truly deserve. Sadly, without the experience and technical know-how to navigate through legal complexities, many people are left as victims, short-changed or entirely overlooked by an unsympathetic insurance provider. Melbourne personal injury attorney, David R Heil, PA, can help you earn due compensation with minimal hassle on your part. I personally overlook every step of the process to make sure your case moves forward with confidence. In addition to being a sought after Melbourne injury lawyer, we also provide personal injury attorney services to all of Brevard County. Contact us today to take advantage of a free consultation. You need an experienced attorney to competently represent your needs and rights, aggressively pursuing the maximum fair settlement without hesitation or distraction. For confident and individualized attention without risk or concern, David R Heil, PA, is your most dependable and trusted option for Melbourne personal injury attorney. For over 33 years, I have been helping clients receive the just compensation they deserve for incidents of serious injury and wrongful death resulting from personal injury, product liability, and medical malpractice. My experience covers a broad range of practice areas, with glowing customer testimonials and a long history of well-deserved payouts. As a personal injury lawyer serving Melbourne, I understand the deeply personal nature of each individual case and therefore ensure compassionate, responsive care that stands above the rest. While some personal injury lawyers in Melbourne may pass your case off to an investigator, paralegal or case manager, I personally handle each case with expertise, sophistication, and professionalism. Each case is unique, and I strive to understand all facets of your specific situation resulting in my effective and high-level ability to defend your rights. Your initial consultation will be thorough and detailed, eliminating all confusion and uncertainty. The best time to contact a Melbourne accident attorney and begin preparing a personal injury case is the very moment you are unjustly injured. Even if you are uncertain of your situation, consultations are free of charge. A single meeting will quickly evaluate what kind of results you should expect for your claim and what course of action to best pursue. requires. Personal injury claims require immediate attention and quick action to gather concise evidence and develop a successfully detailed case. This is why consultations are available 24 hours a day and 7 days a week. By remaining readily accessible at all times, clients are spared the frustrating and time-wasting antics of less dedicated professionals. 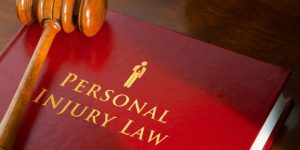 Personal injury refers to a legal term used for describing any kind of distress or harm occasioned on an individual by another person making the victim undergo physical, emotional and psychological damage. These types of injuries can be encountered due to a car crash or while going about daily activities such as walking in the mall which leads to a slip and a fall accident. Personal injuries have a tendency to cause adverse effects on the victim’s wellbeing and they may also lead to long-term effects on the individual’s quality of life. Additionally, you need to file for the case before the statute of limitation expires and this is why it is imperative to get in touch with a Melbourne personal injury attorney for the right advice if you are a victim of personal injury. Injuries from vehicle collisions are some of the most common personal injuries recorded not just in Melbourne, FL, but in the entire country. Any type of accident that involves a car, truck, bus, or motorcycle with a pedestrian or another vehicle is classified as a motor vehicular collision. 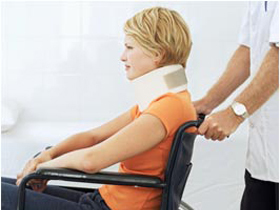 Negligence is another common type of personal injury claim recorded in Melbourne, Florida. They usually occur in public areas and are mostly the responsibility of a corporate organization or the public. The lack of a proper warning over a wet floor or the failure by a contractor to observe all the safety protocols in a building site may lead to slip and fall accidents which are mostly classified as negligence claims. If you are ever involved in an accident in a public area, contact a Melbourne, Florida, personal injury attorney so that you get all the guidance you need in filing the suit and also to increase your chances of getting a fair compensation for the damages. Occupational injuries are personal injuries sustained due to the negligence of the business owner or the employer at the workplace or when doing official work. Most workplace injuries happen because of the failure of the employer to comply with the workplace safety codes needed to make the work environment safe for all employees. Depending on the extent of the injuries as well as the contributory negligence of the victim, it is possible to get fair compensation for occupational injuries with the help of an experienced Melbourne personal injury attorney. Medical negligence or malpractice happens when healthcare professionals responsible for taking care of a patient fail to observe reasonable standards of care payable to the victim. If a healthcare professional fails to provide the necessary first aid or the uses a faulty drug or equipment that ends up hurting the patient, then they may be liable for medical negligence. Assault occurs when a person intentionally establishes physical contact with another person without their permission and with the motive to cause harm. Some of the common examples of assault cases reported in Melbourne include domestic violence and stalking. With an experienced Melbourne personal injury attorney, you can press charges following an assault and ensure you stay safe from those intending to harm you. The process of filing and resolving personal injury claims may be complicated and taxing for victims. As such, the service of personal injury lawyers is highly encouraged during such incidents. At Heil Law, my clients are protected from the risk of attorney bills with a contingency based fee program. You will never pay a fee or charge for services unless your case is won and you are rewarded a monetary payment. Hiring a personal injury attorney in Melbourne should never be a decision avoided for fear of risks. I understand the concerns that arise out of litigation procedures, and so I am committed to representing those in need without pressure or worry about costs. Do not let allow yourself or your loved ones to suffer in doubt. Call and schedule your no-obligation free consultation today.